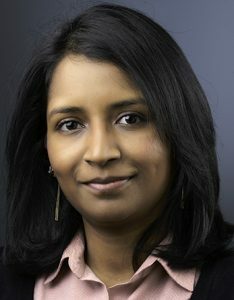 Dr. Smita Iyer is an immunologist whose research interests center around delineating immunological and molecular mechanisms of CD4 T cell help. The ultimate goal of her research program is to use this information to design an effective vaccine against infectious diseases such as HIV. Studies in the lab are focused on applying cutting-edge immunological techniques together with -omics methods to establish a holistic understanding of determinants of immune function. Several HIV-1 vaccine trials have resulted in either no or limited success in preventing infection. It has become clear that a fundamental understanding of host antiviral immunity will be needed to achieve an efficacious and safe vaccine. Nonhuman primate models offer robust opportunities to manipulate host immune mechanisms in new ways and thereby test novel anti-HIV-1 vaccine regimens.